Phone Number of Walmart is 1-800-438-6278, 1-800-925-6278 . Walmart is one of the trading names of Wal-Mart Stores, Incorporation. The company was setup in the year 1945. It was formed by Sam Walton. The first store of the company was opened in the year 1962 in Rogers, Arkansas. The company works in Three divisions: Walmart Stores U.S., Sam's Club and Entertainment. It is a Walton family-owned business. Its products line includes apparel, households, electronics, food products, baby products, personal care and health products, fitness products, home appliance, jewelry, footwear and many more. Additionally, the company also offers financial services and related products consisting of bill payment, check cashing, money orders, prepaid cards and wire transfers. The company serves in over 27 nations around the world. It is a public retail company that operates a network of 11,302 warehouse stores and discount department stores in the United States and internationally. Its Corporate office is situated in Bentonville, Arkansas, United States. The company operates its retail chain under the store formats such as discount stores, super-centers, cash & carry, warehouse club, supermarkets and hypermarkets. The company is listed under the ticker symbol 'WMT' on the New Stock Exchange and is also the member of S&P 500. Walmart Stores U.S. is the flagship business division of the company. Walmart's Sam's Club is the largest warehouse club chain. In 1983, the company opened its first Sam's Wholesale Club in Midwest City, Oklahoma. Walmart operates retail stores under 71 banners, among them are in India as Best Price, in Japan as Seiyu, in Mexico as Walmart de México y Centroamérica and in the United Kingdom as Asda. As per the company's report of 2013, Walmart had total employee strength of 2.2 million which has been increasing every year. Wal-Mart Stores, Incorporation has six subsidiaries such as Asda, Sam's Club, Seiyu Group, Walmex and @WalmartLabs. The company also provides online shopping services through Samsclub.com and Walmart.com. It serves numerous customers by providing quality products at an affordable price. The address of Walmart is 702 Southwest 8th Street, Bentonville, AR 72716, United States. 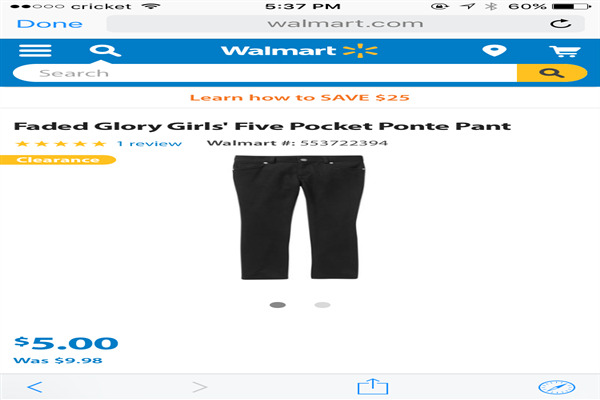 The Website of Walmart is corporate.walmart.com. The customer support phone number of Walmart is 1-800-438-6278, 1-800-925-6278 (Click phone number to call). The postal and official address, email address and phone number (helpline) of Walmart Service Center and Walmart customer service phone number is given below. The helpline of Walmart customer service phone number may or may not be toll free. Waited for five minutes and the line disconnected. I have a question about the Faded Glory Ponte pant. Is it a jean material? Are they classified as jeans? Are they jeans? Could you send a picture to show we are looking at the correct and same product. Sincerely, Cynthia Gonzales 972 992 8691.